Ok here we go. When we first arrived the outside looks lovely, on the main road nice but small pool and a good bar area, however when you get to your room it is like something out of the stone age, very basic and not very clean. We had countless dead Mosquitos all over our room that was poorly cleaned housekeeping. The bathroom was modern but very small. The worst thing about this place was how the family constantly hounded you about money. They are always asking for more. We drank in the bar the first night but there is very little atmosphere, luckily next door there is a Bar call millennium which was fantastic. We had breakfast there every morning and on one day I left my wallet on the table and walked into the town. 15 minutes later the bar man at millennium arrived on his scooter to give it back to me. Would I go back to plesas palace, definately not. During my stay i had to attend hospital and the owners could not do enough for me they arranged transport there and back and kept asking how my unborn baby was. Yasoo Nick. Remember us. We had a great time staying with you and your family. Except the weather was not very good the first week with thunder storms. Stayed here for the first time this year and really have to be honest and say that we were a little disappointed. Not with the standard of the hotel (which was good overall), or the staff who were absolutely lovely. Our gripe came with the levels of equipment in our room. We booked as a self catering couple and one would expect certain items to be provided within the room. Our kitchen consisted of 2 glass tumblers, 2 coffee cups, 1 saucer, 1 large plate, 1 small plate, 1 breakfast bowl, 1 knife, 2 forks and 1 spoon. Cooking utensils were provided in the shape of 1 huge saucepan you could have boiled a rhino in, a frying pan with a broken handle and a jug. 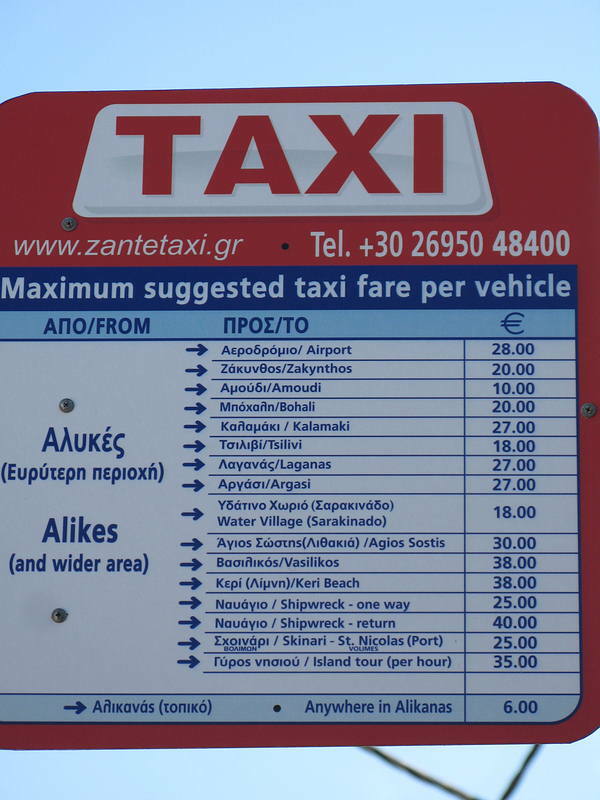 Now I know it's Zakynthos and we weren't expecting (or indeed needing) the kitchens from the ritz hotel. Indeed we ate out every evening, but the ability to do a cup of coffee and some toast for breakfast would have been a bonus. We've been to Zakynthos many times before and usually stay in the Planos Aparthotel in Tsilivi where the kitchen you are provided with is equiped to a very good standard. There really is no excuse for the lack of facilities provided at Plessas Palace. Luckily though, we had read a few reviews of the place before we actually went and had the foresight to take a mini travel kettle and one or two other items with us. We'd been forewarned about just this very problem so it never spoiled our time there. Oh incidentally if you're not self catering you don't even get to use the fridge without forking out an extra payment. Overall it's a pleasant hotel run by a very nice family. They just need to address this one problem and it would be almost perfect. The pool was clean and well kept and there was none of this stupid putting towels on the sunbeds at three in the morning we see at other hotels. 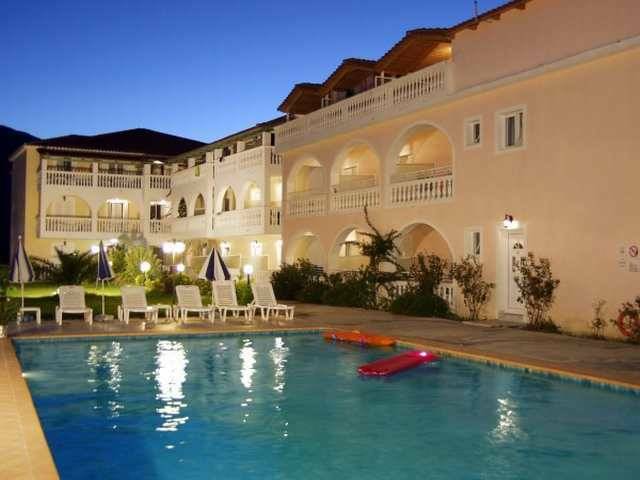 Just got back from zante today and stayed at the plessas palace for 2 weeks- what a great hotel! The staff/family make you feel welcome and are always there to help, the pool area is lovely and quiet- great for a relaxing holiday. 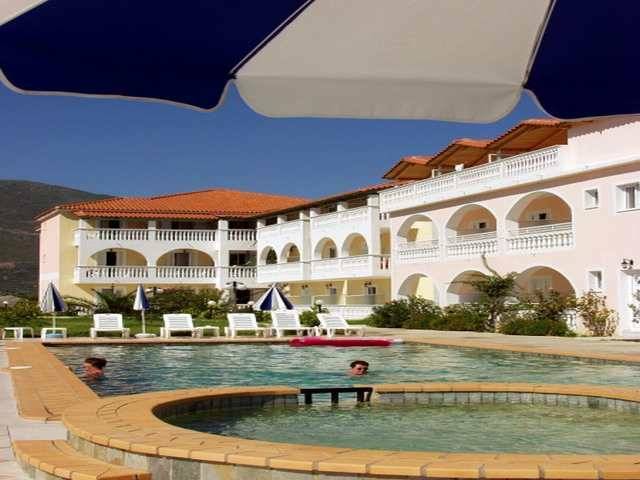 Plessas Palace is one of the most friendly, relaxing places to stay inAlikanas. All of the staff (family) go out of their way to make you welcome. The apartments are spacious and always kept clean. It is set off the main road, so theres hardly any noise, a lovely pool, snacks all day & very relaxing. The fantastic beach is only a 10min walk, which is not overcrowded & you can walk out in the warm sea for 100m before it gets up to your chest (lush). We have been going here for 4 years, just got back, and going out again in Sept.
We have enjoyed taking our annual holiday at the Plessas Palace Hotel for several years. The hotel has consistently improved. The hotel is clean, the family who own and run the hotel friendly and helpful. The rooms are about 3.5 meters by 6 meters. The bathroom measures about 1.8 meters by 1.4 meters. The shower cubicle is a bit on small side, almost the same size as some entire bathrooms in hotels in Sussex Gardens London, where one can shower while sitting on the toilet. Each room has a private balcony with a table and chairs where one may enjoy the view. There are private safe boxes in the lobby to leave one's valuables. The area is quiet and relaxing. 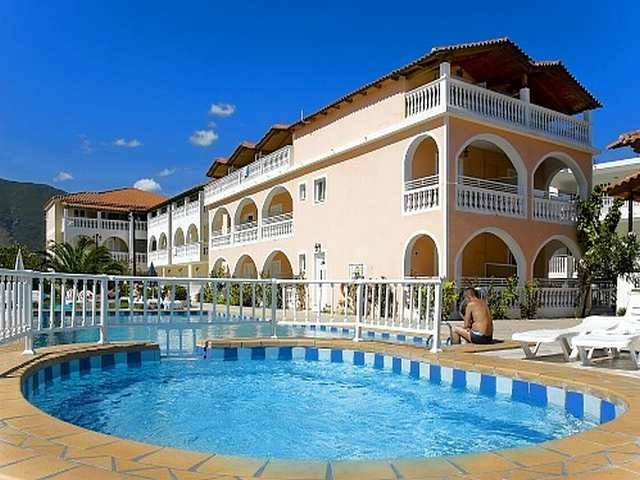 It is conveniently located, just a short walk to the beach, restaurants, and shops. The beach at Alikanas is clean and seems to be safe. One can wade in to thigh depth then there is a sand bar which brings one to knee depth. Once one starts swimming you can see the sand just under ones feet, only to discover that it is at a depth of several meters. In short crystal clear water. CANT FAULT HOTEL THOUGH VERY NICE!!!!!!!!!! I CANNOT PRAISE THE FAMILY WHO RUN THIS HOTEL ENOUGH THEY LOOKED AFTER ME AND MY HUSBAND VERY WELL AFTER I BROKE MY LEG ON THE BEACH STEPS THEY WERE GREAT./rte/tongue.gif THE ROOM WAS CLEANED EVERYDAY I KNOW I WATCHED THEM DO IT. /rte/clap.gifTHEY DESERVE BETTER RATINGS THAN OTHERS GIVE THEM. Just got back from 2 weeks at Plessas Palace 'hotel and apts' HA! That was more like a studio to me. I shared a room with my boyfriend and we had to use the spare bed to lay our clothes out on because you only get 1 wardrobe as storage space with about 5 coat hangers. We expected it to be a basic room but not so basic that you get about 1 knife 1 fork and 1 plate. The shower is stupidly small you can barely move around in the thing so we had to leave the shower doors open and let the whole bathroom get sobbing wet just so we can wash properly. Ladies, if you want to shave you have no chance in that shower! On the plus side its in a great location, the resort is lovely and everyone is very friendly. The 'hotel' DOES look very nice on the outside and the pool is descent we had a lovely view of the hill side but after giving up on those people who put their towels on a sunbed and walk off and leave them there we began to use the Millenium pool up the road..its a british, family run pool and bar and the family is VERY nice! Try their cooked breakfasts! Will defo come bak to Alykanas but will try somewhere different to stay. We were booked in for 16 nights hols on 14th July and had no problem with the rooms at all - they were cleaned every other day - both towels and bedding changed. The only problem we had was the lack of storage space for clothing - 1 wardrobe between 6 people is not enough! - and it's not as if there is not the space in the rooms (which are very spacious) but some drawers would be more than welcome! Hi to Johanna, Sakis and family we had a great holiday and look forward to seeing you again next year - you're always so friendly and helpful. we spent 2 wks at the plessas palace in june i can say now we will not go back yes the maids go in almost every day BUT the only thing they did was the bins our room was 2inchs thick of DUST under the beds had not seen a duster or brush for the 2 wks.but the family are great. We couldn't fault the Plessas Palace from the time we arrived until we left. The family were very helpful if ever we wanted anything. The maid was in every day bar one the week we were there. We will definately return again. The apartment was really grubby and the toilet waste pipe leaked. When we reported it a half hearted attempt was made to fix it (only after making a fuss). The pool area was uninviting and the apartment was noisy - the area outside our room was like a car park. The towels were also very old - we bought new ones during our stay which was only 4 days as we eventually changed hotels. The poorest accommodation I have stayed at in greece. Excellent resort, excellent location - just the constant hassel over paying for an extra nights stay (which I still don't know why we had to pay). 4 times we were approached by different family members in one day for payment which we paid a day before than we needed to. Also they make you change rooms - we had 3 rooms in one week. Apart from this a nice hotel. Enjoyed my stay at Plessas and was happy with my room and the standard of cleanliness. This family just seems to be constantly on the go. I'm not sure what the young lad Plessas name is but on my last day he and i had a friendly disagreement and just for the record mate my Olympiacos shirt which i bought for 35 EUROS is real. Hope to visit again thank you. Found it an ideal place to stay due to being on the edge of the village. The room was cleaned everyday and the towels and sheets were changed every 3 days. Everyone involved at the Hotel were very friendly and no request was too much despite the fact that they were there working from dawn to dusk.The beach is excellent and ideal for those that are just learning to swim as it is very shallow for quite some yards and not too busy, if you are visiting for you first time try the "Train" it's good fun. Having stayed in Alykanas twice before we knew where the best places to eat were and nothing has changed there apart from the fact that Nikos and his wife Sula from Neraida have opened up their own place called Kostas which is just down the road from Plessas Palace towards the beach. Never had a bad meal and the service was excellent as i would have expected, i can thoroughly recommend it. If you just want a snack and a drink at lunch try Ammo's bar on the beach or if you are in Alykes pop in to Yria bar and enjoy the service. Back to Plessas Palace i would certainly stay there again but always remember... you are in Greece not Las Vegas... if you want everything to be as it is at home, stay home and hire a sunbed!! Just returned from Plessas Palace and thought it excellent. We had a self catering studio which was really clean and bright. Bed Linen and towels were changed every couple of days and the room had air conditioning which the brochure didn't mention (although you did have to pay to use it). Family who ran hotel very helpful and friendly and we found the shop on site cheaper than the larger store further down the road. Restaurants were all fairly similar although we did like the Medusa - the sardines were excellent. Alykanas beach, which is very pretty, just 10 minute walk away. We will certainly return! Not long been back from Zante, and i have to say the people at the hotel could not have been nicer. I did watch my money alot due to the coment below and i never had a problem with being short changed. We had a 2 bedroomed apartment and there was so much space you could sleep 6 people in there. Can not fault this hotel would recommend it to anyone. the people who run this place are not as friendly as i have read previously.the two young boys were trying to shortchange most people,but in the first week they couldnt be nicer.also there were a lot of greek and italian families stayin thereand were very noisy and you couldnt get in the pool after 5pm.the pool is very sharp and numerous people had cuts from it.rooms ok for couples but for 3 people ,no way.would never stay there againand millennium pool next door is much nicer and cleaner.keep a close eye on your change especially when changing cheques.also lilo,s are of a poor quality as most didnt last 2 days. 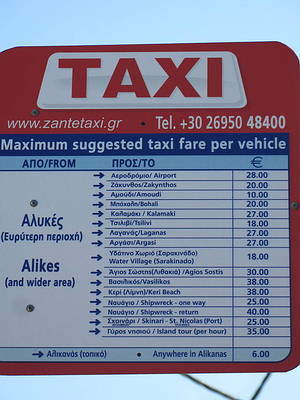 What is the price of a taxi from the airport to Alikanas? I wasnt even staying at the plessas palace but they were much friendlier than we were actually stayin. I had the best time and the family who owned it couldnt be nicer. They couldnt do anything more for you, which was very much appreciated! Thankyou. Went AOA with First Choice. Not disappointed by either the resort or the accomodation. Plessas is run by a very friendly family, and the room standards are high. Pool is lovely, and it is a 15 min stroll to the beautiful beach at Alikanas. It is on the main road, so expect a little noise, but no more than most places. A word of warning!! Reception closes when the last customer leaves the bar, this can be 12 or 2. 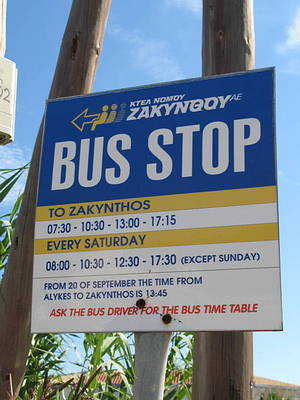 If you're not sure that you will be back by 12, then don't do as we do!! TAKE YOUR ROOM KEY :o)) A not very happy Dad was awoken at 2:45 after our night in Alykes!! Recommended.